Life is so unpredictable. Sometimes the events that unfold in our lives take us completely by surprise and there are also times when they knock the daylights out of us. While some leave you scarred for life, many others serve as lessons for the future. Certain happenings haunt you forever while there are others that give you a certain amount of solace each time you recollect them. Let me recall three such events which I would call close shaves or narrow escapes. This particular unpleasant incident happened when I was all of 12. It was in the 1980s when commuting in Bangalore was a cumbersome affair. I loathed travelling by the BTS (now BMTC) buses. For one, I hated the endless wait at the bus stop and secondly the overcrowded buses. There were times I had to travel on the foot-board and this was scary. When at school I played hockey and the matches were usually scheduled after school hours. Staying back for a hockey match meant missing the school bus which took us back home. Once after one such match I decided to walk back home instead of boarding a BTS bus. Walking back home would take a good 2 hours but I preferred that to travelling in an overcrowded bus. I had to walk from Ulsoor to the NAL Quarters on Old Airport Road. I decided to take a short route through Indiranagar and landed on 100 Feet Road. Instead of walking the length of 100 Feet Road to Old Airport Road, I thought of taking a detour and walked instead along a narrow mud road that I thought would take me to the Old Airport Road in a shorter time. So walk along the mud road I did. This was an unfamiliar route. When I had almost reached Old Airport Road to my utter dismay I realized that I would need to cross a narrow canal. Now it wasn’t narrow enough for me to jump across. For a moment, I didn’t know what to do. Walking back to 100 Feet Road and then to the Old Airport Road would take too long. As I kept pondering, I noticed a muddy path across this canal which was covered with weed, moss and what not. I thought why not use that path to step across. I had just put one foot on the muddy path when it gave in and my leg sank into the water and in no time I lost my balance and fell into the water. The canal wasn’t very deep but its bed was very slippery which made it difficult for me to get out. 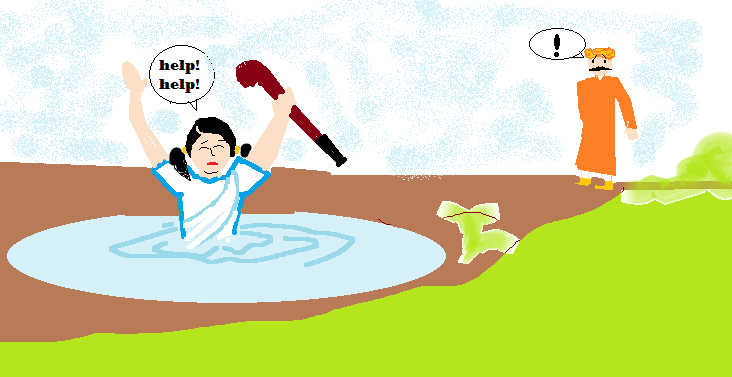 I frantically waved my hockey stick and cried for help. Providence saved me in the guise of a passing labourer who lent me a helping hand and pulled me out. Wonder what would have happened to me if he wasn’t around. The place was otherwise very deserted. I had to tread the rest of the distance to my home covered in weed and grime. My white school uniform accentuated the mess. I must say I was a traffic stopper in more ways than one. Moral of the story: It is okay to be adventurous but refrain from misadventure. It may prove costly. 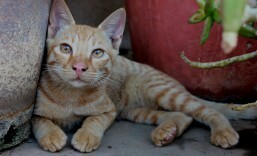 I spent two of my student years at Mysore where I stayed at the University hostel. 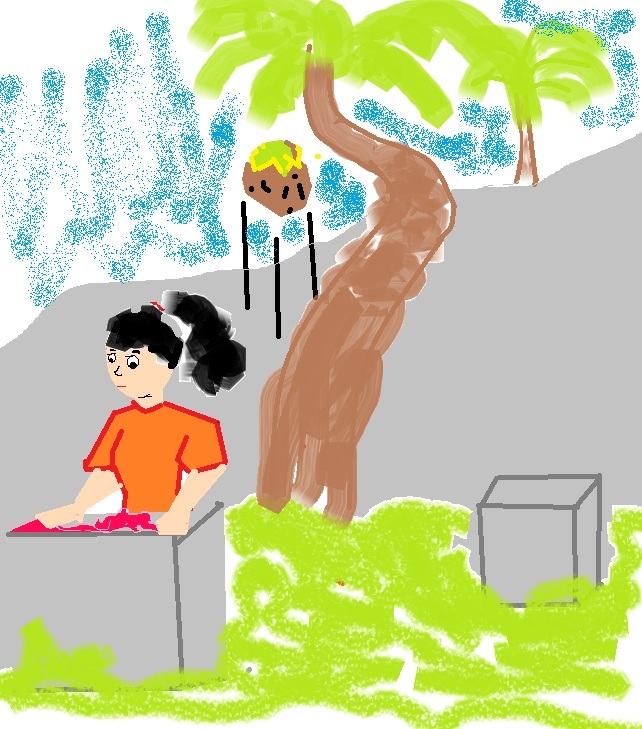 The washing stones were in the central courtyard of the hostel and right under an array of coconut trees. One day I was in for a surprise. Like every day, I took my bucket of clothes to the washing stone and had just turned on the tap when I heard a loud thud inches away from my feet. A large coconut had come crashing down and missed falling on me by a whisker. I wonder what would have happened to me if it had fallen on my head. Phew! That was close. Moral of the story: You never know when luck is on your side. My workplace in the late 1990s was at Brigade Road. To take the bus home, I sometimes had to cross MG Road. During the peak hours crossing this road was a nightmare. I am one of those who is anything but adventurous when it comes to crossing roads. I wait till the road is absolutely clear. But on that particular day, I thought I would weave through the traffic like many others do. In the process, I totally misjudged the speed of an approaching matador van and almost got run over. I kept wondering what came over me that I behaved like such a dunce. I walked to the bus stop in a daze. Moral of the story: It is always better to play super-safe when crossing roads. There have been times when I have had to take an auto to office. Getting an auto during peak hours can be quite difficult. So you have no choice but hop into any auto if the driver agrees to take you to your destination. Once before getting into an auto I realized the driver was drunk. I didn’t feel too comfortable boarding it. There were no other autos around and it was getting late. My worst fears came true when the guy started driving as if there were no other vehicles on the road. He missed hitting a vehicle or two. As if that was not enough he jumped a signal and crashed the auto on to a cyclist who had just decided to cross the road thinking it was all clear. The impact of the collision brought down the cyclist and resulted in the auto turning upside down. A traffic cop helped the injured cyclist and then got me out of the auto. I escaped with a sprained right hand and some bruises. Moral of the story: Never board a vehicle if you notice that driver is drunk. 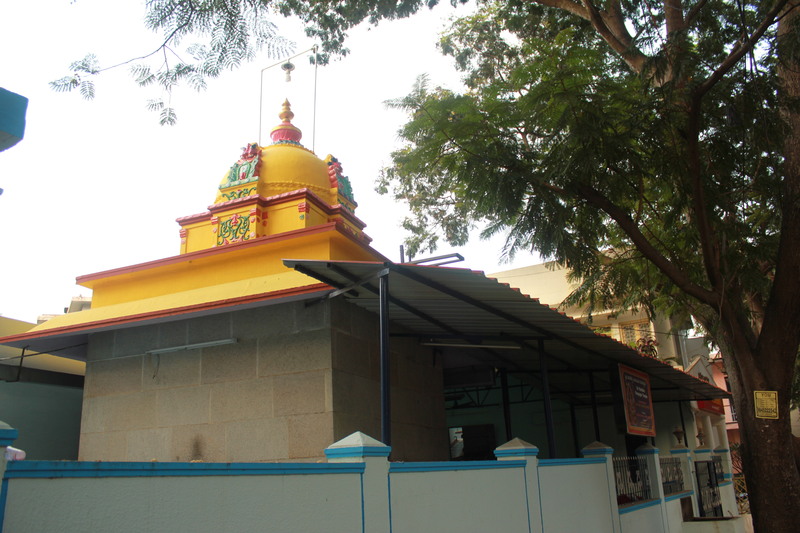 Every Thursday morning and evening, 3rd Main Road in Cambridge Layout, Halasuru (Ulsoor) is a beehive of activity thanks to the presence of the Shirdi Sai Baba Mandir at the centre of the road. Thursday being an auspicious day to visit a Sai Baba Temple, thousands of devotees in the vicinity of the temple and surrounding localities, throng the place to have a darshan of Baba. It goes without saying that Shirdi Sai Baba, the famous saint who lived in Shirdi, Maharashtra during the late 19th and early 20th century, has an astronomical number of devotees even today. The many sevaks (volunteers) at the temple ensure that the crowds disperse fast. In this way, people who visit the temple do not leave disappointed as each and every one gets to have a darshan of Baba. 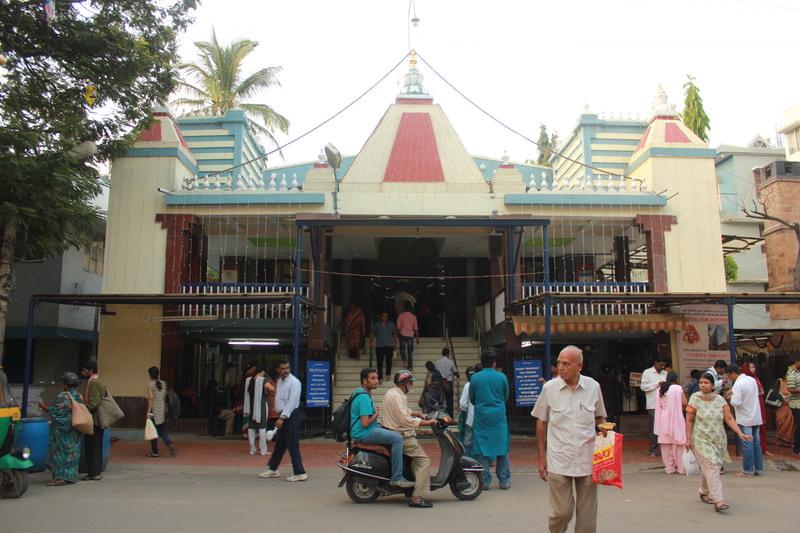 A lot of devotees also perform special puja on Thursday and there is a lot of prasad offered. Unlike at many temples you do not have to worry about losing your footwear. There is a footwear stand manned by sevaks who very enthusiastically go about taking your footwear and handing the token and every now and then chant “Sai Ram”. Thursday is also a day of great business for vendors and shops in the vicinity. The flower vendors do brisk business. A lot of them walk around beckoning you to buy a garland, “Madam, 10 rupees, only 10 rupees”. 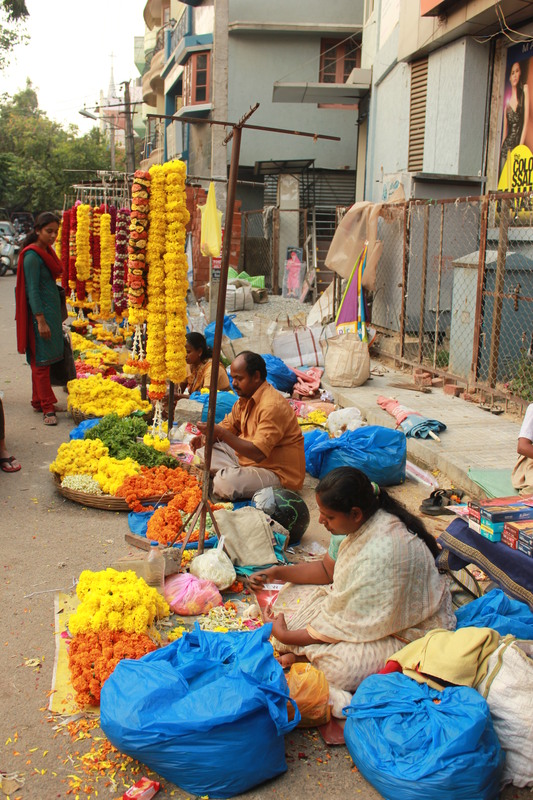 The many flower sellers with their garlands paint a colourful picture on the road alongside the temple. Vying for attention with the flower sellers are the souvenir and idol sellers selling calendars, books, idols, chains, key chains, photos, photo frames, incense sticks and more. There are a lot of hungry mouths too who move around in the hope of getting something to eat or at least some money. Some of the devotees also drop in at the Ganesh Temple which is a stone’s throw from Baba’s mandir. Like the many vendors and flower sellers, shops on 3rd Main Road also have a good day. 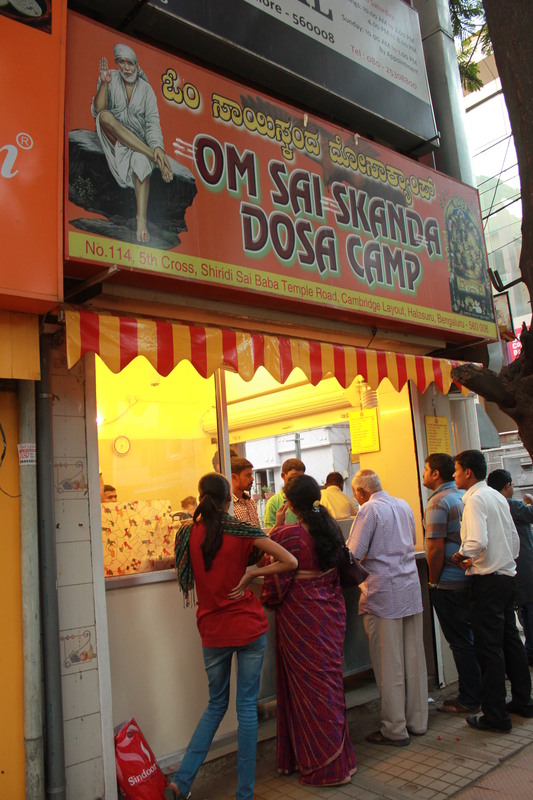 One of them is the Om Sai Skanda Dosa Camp. The tiny eatery offers delicious treats like Plain Dosa, Masala Dosa, Bath Masala Dosa, Onion Dosa, Paper Dosa, Paper Masala Dosa, Thatte Idly and more. My favourite here is the paper dosa. 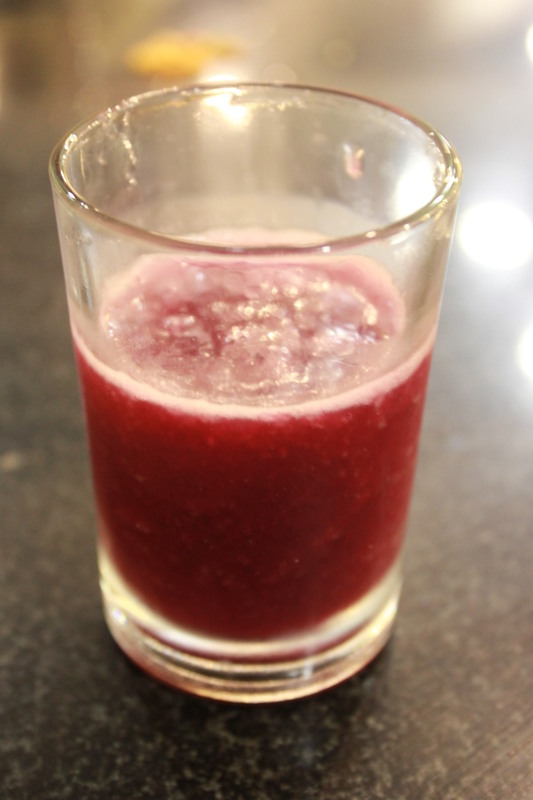 You can relish these treats with a generous serving of chutney or sambar, standing comfortably on the pavement. 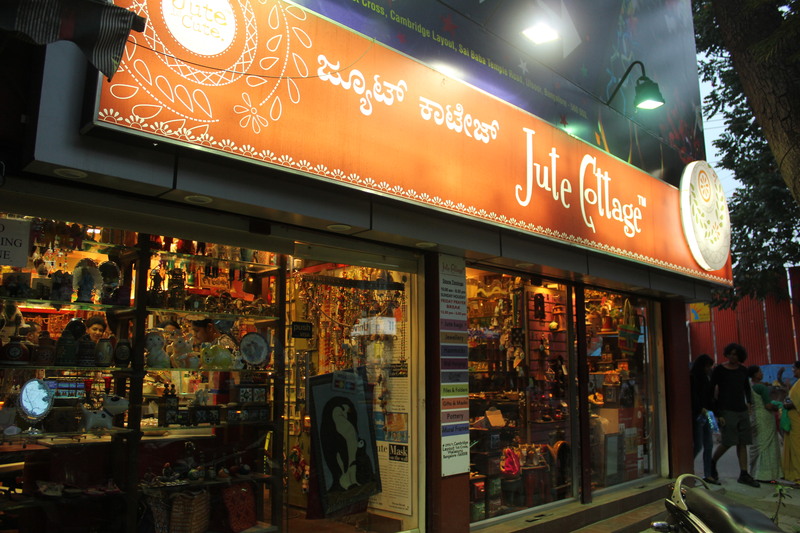 Lovers of handicrafts will love visiting the Jute Cottage nearby. A great place to shop for gift items, Jute Cottage has on its shelves, bags of various hues, jewellery, jewellery boxes, wall hangings, statuettes, key chains, trinkets and brick-a-brac. On my last visit here, what caught my eyes most were a bullock cart and a porcelain statue of Psy. Foodworld and a Lassi joint across the road also draw a lot of people. And like most busy roads, this one too is dotted with many novelty stores and sweet shops. I look forward to more Thursday darshans of Sai Baba, plates of dosas and of course go gaga again and again over handicrafts. The acronym MTR spells magic in Bangalore. 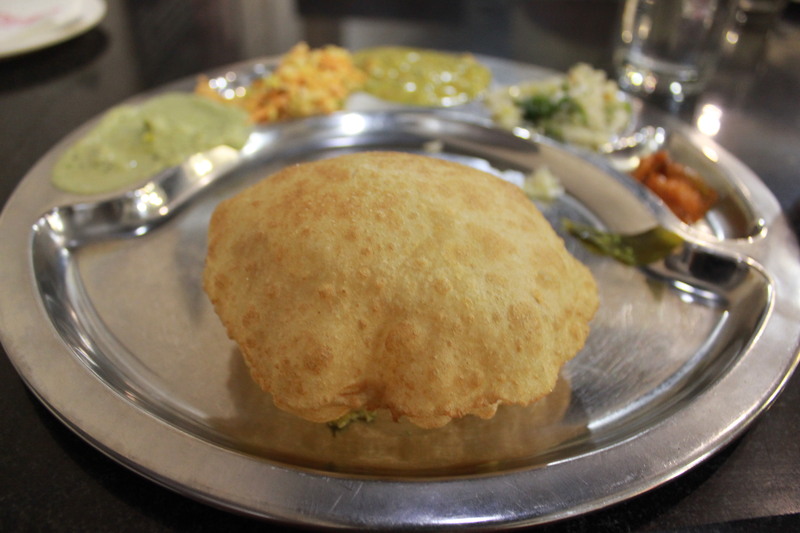 Ever since its modest beginning in 1924 near Lal Bagh West Gate, Mavalli Tiffin Room popularly known as MTR, has been serving the most delicious Karnataka fare in the Garden city. Any visit to Bangalore cannot be called complete without savouring the fare at this temple of Karnataka food. Credited with the invention of rava idly, the tiffin room is also famous for its masala dosas, filter coffee and sumptuous meals. Those with a sweet tooth will love Chandrahara, their signature sweet, and also the fruit salad, a medley of fruits tossed in kesar-flavoured cream. Till some years back, people from Bangalore had to travel all the way to Lal Bagh Road to enjoy MTR food. 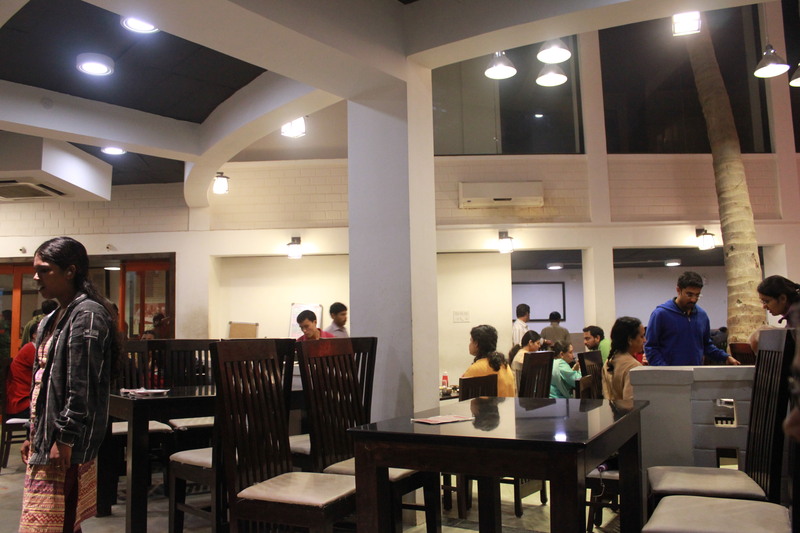 Now the famous food paradise has opened branches in many other parts of the city including tony Indiranagar. MTR 1924 located on busy 100 Feet Road has been drawing diners by the droves ever since it started a few months back. A dinner visit last Saturday evening turned out to be a silver lining on an otherwise cloudy and rainy day. A stream of diners dressed in vivid monsoon colours and fashions sat waiting in the lobby of the tiffin room. This only went on to prove that not even heavy rains can deter the city’s foodies from eating out. Beautiful indoor plants and muted lights relieve those at the lobby from the monotony of waiting. The lobby is spacious with enough benches and even as you wait you could choose to find out what is cooking in the kitchen through a large open window. Allowing diners to have a peek at their kitchen has been a practice at MTR for ages. This way one gets to know of the high standards of hygiene that they maintain. There were three of us that evening. When the man with the waiting list called out my name I was only too excited. The ambience in the dining space is extremely pleasant. There is enough room to walk around. The brick walls painted in white and kiln red perfectly complement the colonial-style wooden furniture. The chairs with white rexine cushions are comfortable and the tables have black granite tops. The waiters look smart in their uniforms and are very cordial and efficient. I was super hungry that evening and decided to go for a special meal because you have the option of unlimited food. First to come on the table was grape juice (the welcome drink) in a little glass. It was freezing cold just like the weather but the sweetness overshadowed everything. In a little while came a sparkling thali with five small and one large compartment. Like everywhere the accompaniments are served first. There was green coconut chutney, kosumalli, sagu, cabbage curry, and pickle all vying for attention with each other. Then came a little masala dosa. 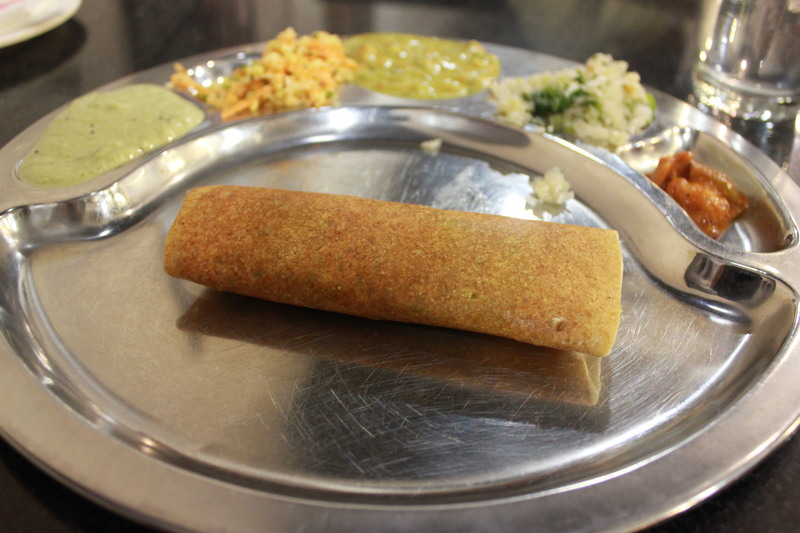 Made especially for the special meal, these little masala dosas are undoubtedly a great way to start the meal. For that extra taste you must have it with the green coconut chutney. Ummmm, the taste still lingers. I didn’t go for an extra masala dosa because I wanted to sink my teeth into all the items on the thali. Next came a fluffy puri and I asked for two more. Soft and yummy, these puris dipped in sagu just melt in your mouth. In between two servings of yummy sweet puddings, came piping hot bisibele bhath accompanied by curd raitha. It is only at MTR that bisibele bhath is served with curd raitha instead of the conventional boondi, potato chips or mixture. Not a bad combo though! I was tempted to ask for more bisibele bhath but chose instead to have rice and rasam. Not a bad decision! I loved the tangy rasam. Dinner ended on a sweet note with a bowl of ice-cream that had pieces of fruits thrown in for good measure. This wasn’t fruit salad, I would rather call it ice-cream with fruits. A visit to MTR is never disappointing. So was this. Delectable in every sense of the word! I can’t wait for my next culinary journey here. I am sure it will be as special as always. A special meal will cost you Rs. 200, and the meal is worth every penny you pay! 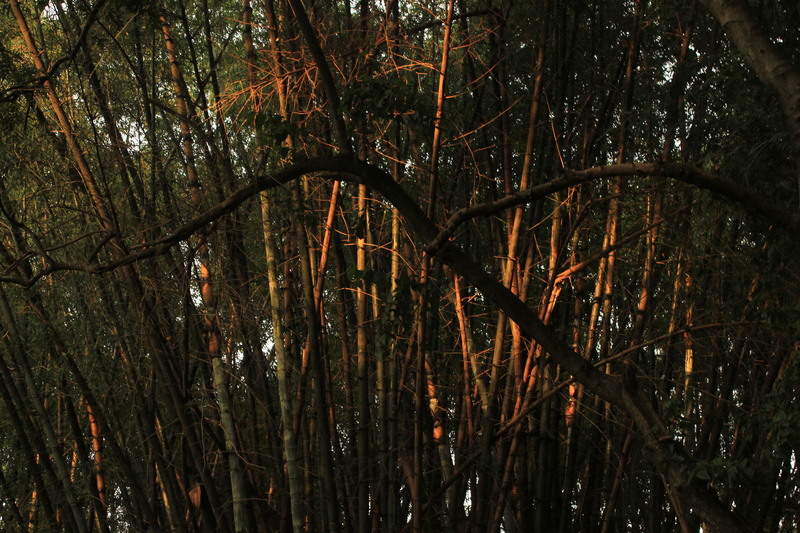 As dusk falls, the last rays of the sun illuminate a dense bamboo grove in Cubbon Park.